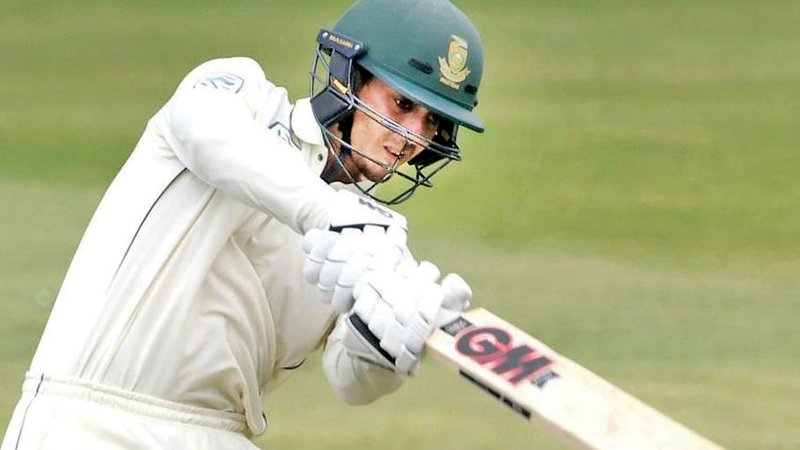 Quinton de Kock admitted that South Africa were caught off guard by the unknown fresh faces in the Sri Lankan bowling attack, after the home team rolled over for 235 on the opening day of the Test series in Durban. Sri Lanka’s day was highlighted by the fast-bowling duo of Vishwa Fernando and Kasun Rajitha, who have played nine Tests between them, and took seven of the 10 South African first-innings wickets. The duo’s incision rocked the South African top order, leaving them at 89/4, and but for de Kock’s 94-ball 80 at No. 6, things could have gone further downhill for the home team. While Fernando dismissed both the openers, Rajitha chipped away at the middle order, accounting for Faf du Plessis, Vernon Philander and de Kock. “The two new guys, we hadn’t seen much,” de Kock said. “We’ve only played one of them [Rajitha] in white-ball cricket once. Having had a feel for their skillset now, de Kock hoped South Africa could learn from their experience, but implored caution. “I think what surprised us was just the angle of their bowling and the skills they had. They had different actions, some skiddiness, and some bounce,” he said. As for the home team’s own bowling attack, de Kock pinned Keshav Maharaj as their MVP as the game wears on. “I think early on, in the first hour or two, there definitely will be some movement in the wicket. But I think as the day goes on, it will get better,” he said.